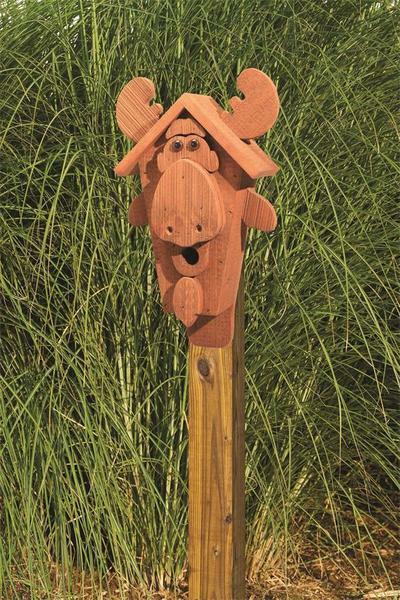 Nobody puts as much effort into woodworking as the Amish do, and that goes just as much for their family homes as it does for this moose bird house! This big guy is handcrafted from solid wood and promises year after year of safety and warmth for your garden's nesting birds. He's not only out to please the birds, though - his cute features and goofy grin are guaranteed to bring laughter wherever they go. Please get in touch with us by phone or email if you have any questions about this product.